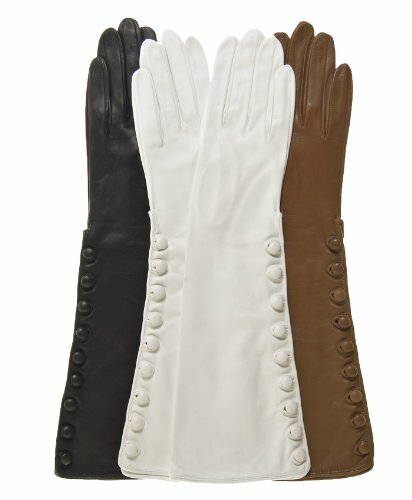 These amazing women's elbow-length leather dress gloves (also known as 8-button length) are inspired by the elegant look of high fashion in the early 1900s. Functional leather-covered buttons are placed at the wrist and all the way up the arm to the elbow, a stunning vintage look that creates a perfect fit. 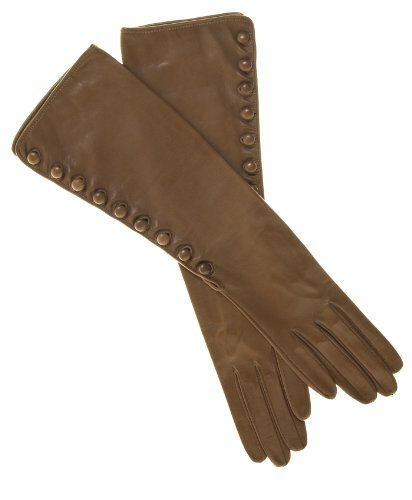 With a shell of fine lambskin leather and a lining of the best Italian silk, the designer artisans at Fratelli Orsini in Italy have outdone themselves with these incredible long leather gloves, a rare treat and perfect accessory for that special dress occasion. Made in Italy by Fratelli Orsini. 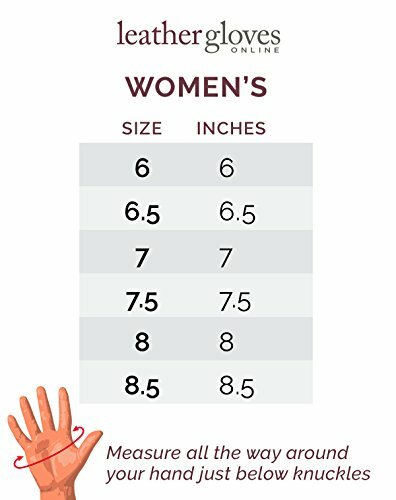 SIZING HINT: These gloves run true to size.